A Chinese group in Australia has demanded that the Sydney Opera House halt the staging of a Chinese work, "Red Guards on Honghu Lake” next month. The opera represents a silent invasion by the Chinese Communist Party to Australia under its Uniting Front policy with the intention to gain influences in Australia, the group Australian Values Alliance says. 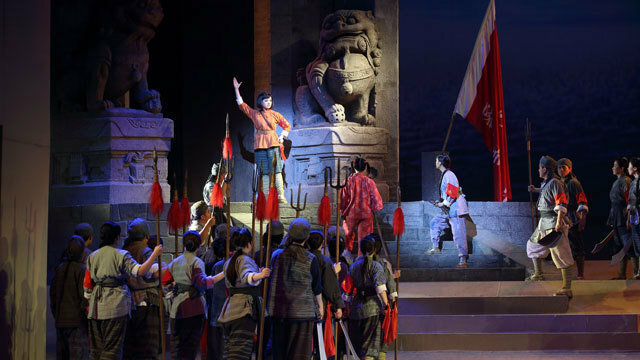 The promotions of the "Honghu” opera highlight the themes of "Fighting for freedom and for hope” and "liberation of all suffering people,'' the group says. "We found these disgusting as the opera is portrayed as an art form to cover up the theme of promoting violence and glorifying the Red Army and it conveys a fake image about the Communist Party nowadays.